COSAM » COSAM Faculty » Biological Sciences » Armbruster, Jonathan W.
Armbruster, J.W., C.C. Stout, & M.M. Hayes. 2015. An Empirical Test for Convergence and Social Mimicry Using African Barbs (Cypriniformes: Cyprinidae). Evolutionary Ecology (Published online 11/29/15). Werneke, D.C. and J.W. Armbruster. 2015. Silversides of the genus Labidesthes (Atheriniformes: Atherinopsidae). Zootaxa 4032: 535–550. 25% JWA. Khaironizam, M.Z., M. Zakaria-Ismail, & J.W. Armbruster. 2015. 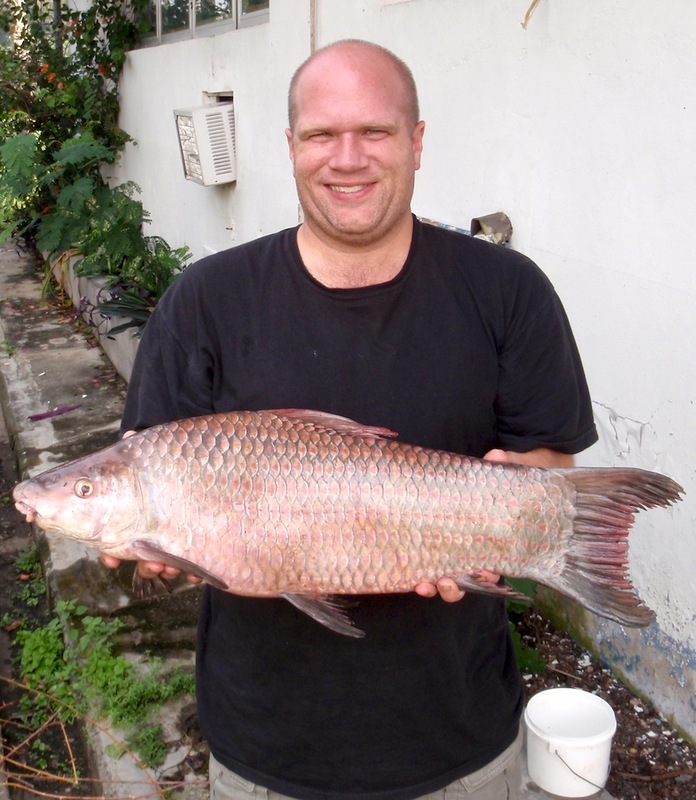 Cyprinid fishes of the genusNeolissochilus in peninsular Malaysia. Zootaxa 3962:139–157. Doi: 10.11646/zootaxa.3962.1.7. Armbruster, J.W., D.C. Werneke, & M.Tan. 2015. Three new species of saddled loricariid catfishes and a review of Hemiancistrus, Peckoltia and allied genera (Siluriformes). ZooKeys 480: 97–123. doi: 10.3897/zookeys.480.6540. Lujan, N.K., J.W. Armbruster, N. Lovejoy, & H. López-Fernández. 2015. Multilocus molecular phylogeny of the suckermouth armored catfishes (Siluriformes: Loricariidae) with a focus on subfamily Hypostominae, Molecular Phylogenetics and Evolution 82:269-288.
de Souza, Lesley S., J. W. Armbruster, and D. C. Werneke. 2012. The influence of the Rupununi portal on distribution of freshwater fish in the Rupununi district, Guyana. Cybium 36:31–43. (Special issue on the Guyana Shield). Lujan, N.K. and J. W. Armbruster. 2012. Morphological and functional Diversity of the Mandible in Suckermouth Armored Catfishes (Siluriformes: Loricariidae). Journal of Morphology 273:24–60. Lujan, N.K. and J.W. Armbruster. 2011. Geological and hydrological history of the Guyana Shield and historical biogeography of its fishes. In Albert, J.A. and R. E. Reis, eds. Historical Biogeography of Neotropical Freshwater Fishes. University of California Press. Pp. 211-224.